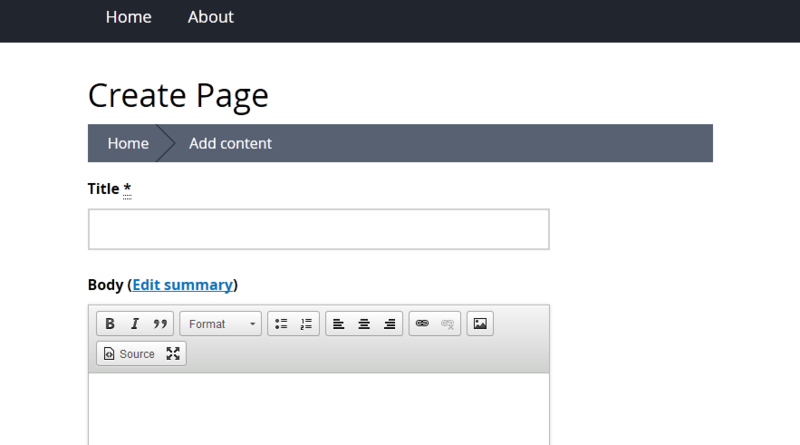 Want to quickly see how the open-source software Backdrop CMS works? You'll find a free and updated demo installation of Backdrop CMS here. We are currently updating the Backdrop CMS demo. Please check back shortly. There will be a new version up soon. Backdrop CMS is a free open source content management system developed using PHP, that forked from Drupal, two years after to the development of Drupal 8 had already begun. It was released on January 15th, 2015 under the GNU license and initially had a code very similar to Drupal 7. Backdrop CMS mostly targets small to medium businesses in need of a powerful, yet comprehensive content management system that would make website maintenance fairly easy and affordable. Backdrop CMS is a viable alternative for businesses or organizations who lack the resources to upgrade to Drupal 8, or who aren’t willing to do so. To get a more comprehensive review of this CMS and to experience the built in features, as well as improvements over Drupal 7, you can check out a Backdrop CMS demo. 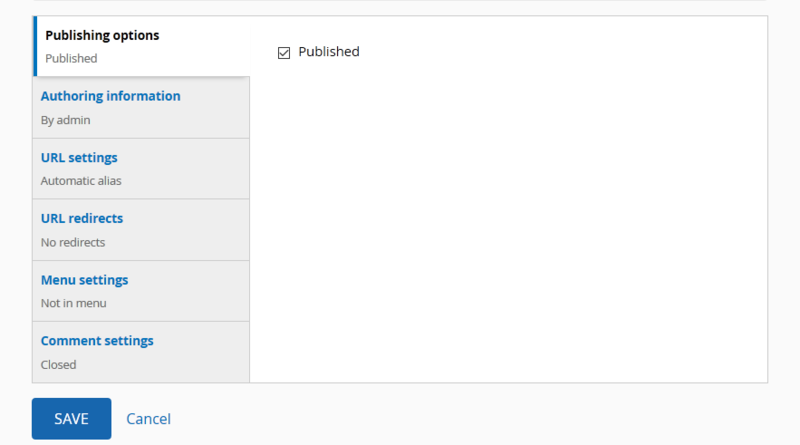 Also worth mentioning is the fact that a Drupal 7 module can be migrated to Backdrop a lot quicker than to Drupal 8. This content management system comes with all the features needed by the websites using it. Some examples include a drag and drop page layout builder, a powerful content editor, user access level controls, responsive design and an API for easy customization. It also offer the possibility to develop new modules that would extend its functionality, or create themes to fit the branding strategy of a company. 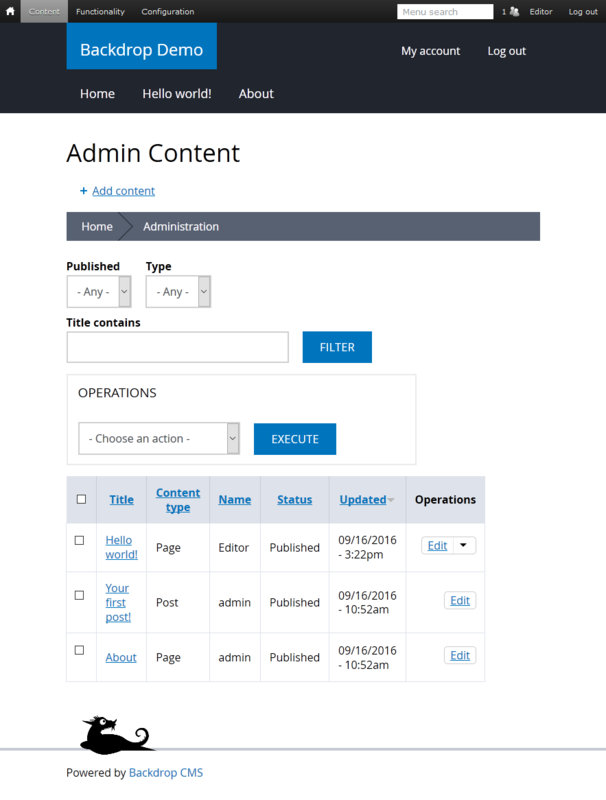 The screenshots below give you a preview of what you can expect to find in an admin demo and show you how the Backdrop CMS editor looks like. The latest version, 1.9, was released on January 16th 2018 and is available for download and installation.